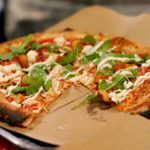 Biteclub | Where To Eat In Gal.. 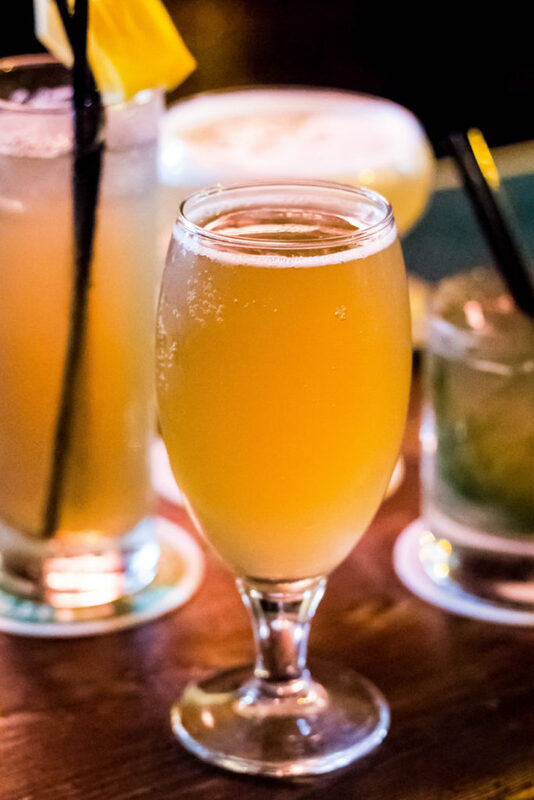 Recently, we were lucky enough to sample Massimo’s three new beer and liquor cocktails and the White Hag dry hopped lemon sour beer itself, which is used in all the cocktails. 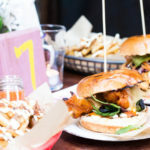 This is a mouth-watering brew even on its own and Dylan Murray’s genius cocktail creations made the drink even tastier! The first one we tried was “The Dead Witch”. 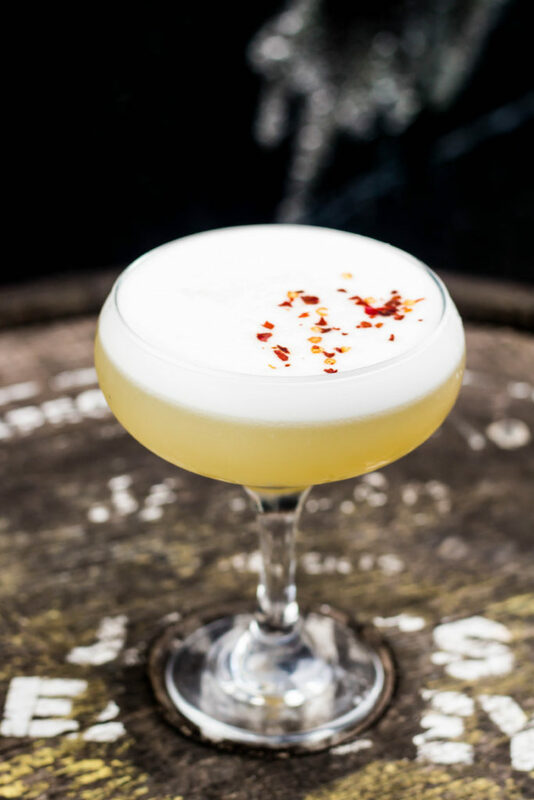 This drink is a mix of silver tequila, agave syrup, lime juice, egg whites, grand marnier along with the White Hag, and topped off with chilli flakes! This one has a serious kick to it. Especially when you experience the flavour explosion when you sip on a chilli flake! Despite that, it’s also quite sweet which is why it topped Eilis’ list and made it her favourite of the three. The second drink we had was “The Resting Rabbit”, a cool blend of Jameson black barrel, camomile tea, hibiscus bitters,rose syrup and White Hag. This beer cocktail was modelled with iced tea in mind, which is probably what gives it it’s hydrating feel. 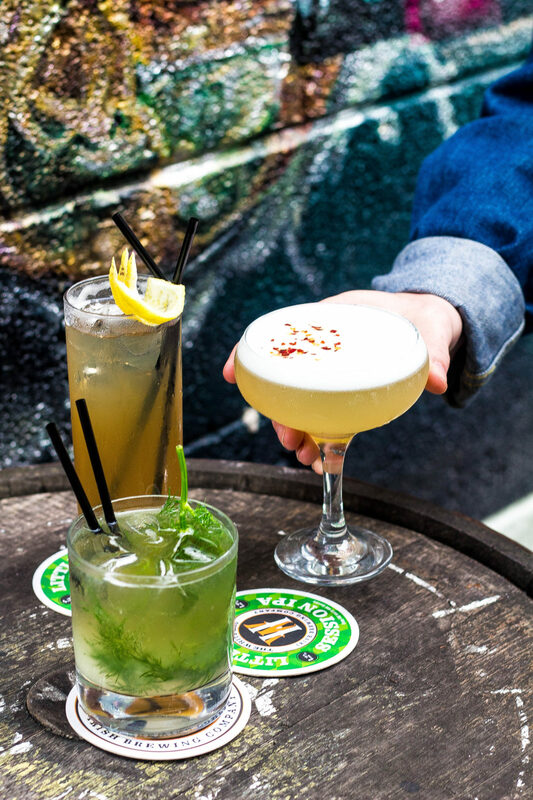 If you’re a whiskey lover – this is the one for you! It tastes quite strongly of whiskey but even if you’re not a fan of whiskey give this one a try and it might just change your mind. It really shows how to make a cocktail feel very “drinkable” despite its strength. 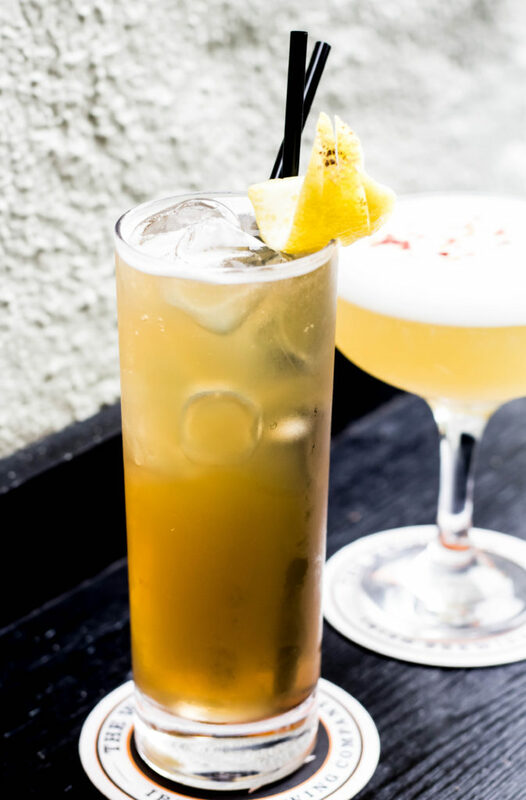 This is a fun and inventive way to try out a new twist on an iced tea. The third cocktail we drank was “The Jaded Hag”, inspired by the classic mint julep – but instead of using whiskey, this cocktail is made with gin, and instead of mint it’s made with dill! This one is delicious and Aisling’s clear favourite. 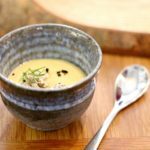 (Is it too far if I say it’s Dill-icious? It probably is, sorry guys). This one is a concoction of Dingle gin, fresh dill, dry vermouth, lime juice, sugar syrup and White Hag. 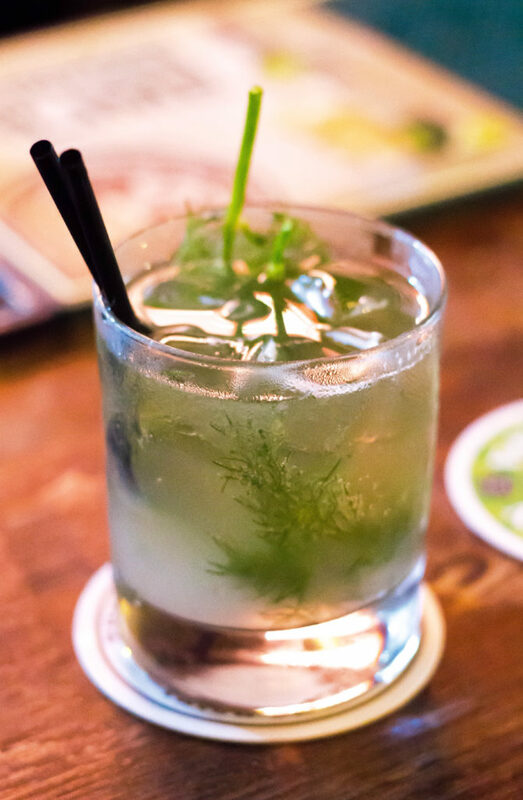 It’s so refreshing to drink and the bright green of the dill leaves is such a cool pop of colour too. The White hag dry hopped lemon sour beer alone definitely tastes of lemon with hints of ginger too. It has a sour finish and it’s a little bit fizzy as well. If you prefer beers that taste zesty or fruity, definitely try this one out. And if you have a sore throat and somebody tells you to drink something with lemon and ginger then break out the White Hag (these bad jokes need to stop, it’s a curse, I blame my Dad). The White Hag Puca Beer, made with hibiscus berry, is sweeter and bright pink and very enjoyable to drink. But we’ll go into that more in another post! 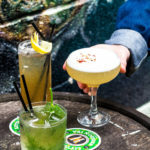 The idea behind these beer and liquor cocktails came from an innovative bar in New York, the Dead Rabbit, and Dylan Murray tapped into this before anyone else in Ireland. This cool idea is being tried out for the first time ever in the country, perhaps the first time out of America even, which makes it that bit more exciting! 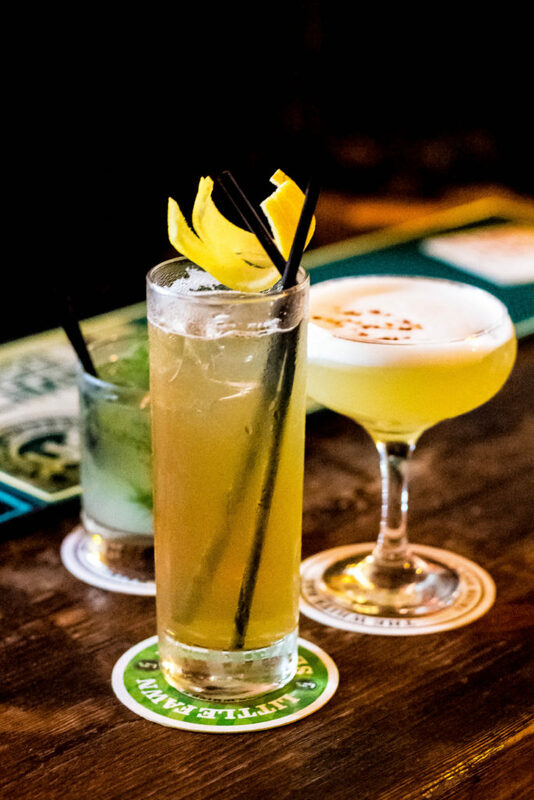 Long story short – go check them out in Massimo bar in Galway’s Westend and see for yourself!